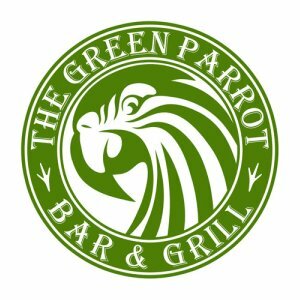 greenparrotbarandgrill@yahoo.com check us out on Facebook ! -Space available for parties and events! -Call ahead orders are always welcome! -Bring the kids after their next game and celebrate that victory! The Parrot offers great food, cold beer and liquor drinks all day every day. With daily Lunch Specials, Happy Hour, awesome Shot Specials & always good friendly people the Parrot is a hit! Nightly Entertainment include Live Bands, Great Juke Box, Karaoke, Dart Tournaments, Pool Tables, and even a game room just for the little ones. Everyone wins here at the Parrot! Thursday: Kids Karaoke 5:30-8:00pm Karaoke 9:00-12:00am $3.00 burgers all day $1.00 domestic drafts $3.00 you call it's all night!